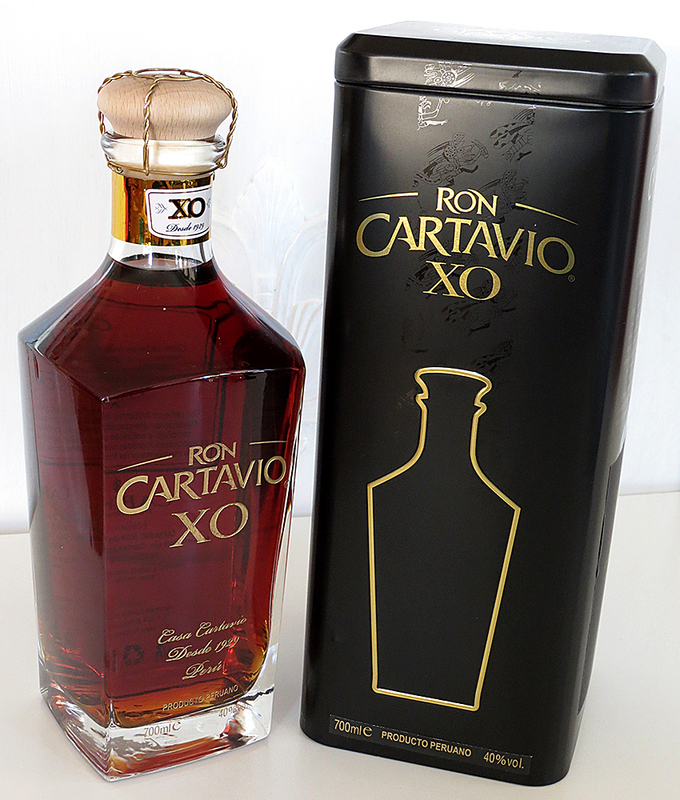 Have you found an online vendor selling Ron Cartavio XO? I found this rum on a recent trip to Jacksonville and decided to mark one off my wish list. Now I wish I hadn't bothered. Apparently my opinion will be going against the grain here but this rum would be great if they hadn't sugared it so much. Am I drinking rum or molasses with alcohol added? This could almost be pancake syrup. The syrupy sweetness is so overwhelming that it hides some elements and flavor profiles that would have made for a great rum. But someone decided to ruin what could've been a great rum. Paid way too much for this. Sad. My fault. I forced myself to try to take extra sips and finally found some vanilla and toffee undertones to it along with some oak tannin. Even a hint of banana. Beyond that, there's not much. I read so many praises for this rum. Makes me wonder if I got a counterfeit because what I got sure ain't what others describe. Don't get me wrong...there are some sugared rums that I actually like but this one goes overboard. I cannot recommend it as a sipping rum unless you're into drinking syrup. I could see this being effectively used in drinks with an antithesis of sweetness such as coffee drinks or drinks using more bitters than the average. Any other suggestions? I cannot see this used in fruit-based drinks. The sugariness would be completely off the charts. And not in a good way. My recommendation? Not worth the $65-70 price. Many better rums for half that. Ron Carvatio XO comes in a classic bottle with a wooden cork. The rum is delivered in an tin box (picture). Hight class! At first you smell some alcohol but when the rum have been resting for a while in the glass the aroma explodes with toffee, caramel and vanilla. One of the best aromas. In mouth you get vanilla, caramel and fruit. You also get some spice in a very nice way. It is a very smooth and well balanced rum. The aftertaste is long and sweet with some spice. This is a favourite that I truly can recommend. The price is a bit high but it only costs half as much as Diplomático Ambassador Selection and I think this rum is almost in the same class. A Solera process rum with the oldest in the mix coming in at 18 years old. I was surprised there was a rum from Peru.... but hey! I'll try that. Glad I did. A rare find in most parts outside Peru... I'm tempted to buy as much as I can find before it's gone... so I don't have to find some excuse to fly to Peru so I can bring home more than I'm allowed to bring home. It smells fantastic and tastes the same. Sweet and smooth with a beautiful long finish. I've tried rum in nice bottles and thought... "they had to put this in a nice bottle to justify the price." When I drank this rum... my thought was, "this is in a nice bottle because it's a great rum and should be in a nice bottle." 3 thumbs up. This just appeared at my local liquor store for the first time, so I grabbed a bottle. I was VERY impressed with the taste based on the reasonable cost ($69.99 K&L Wines 2015). Though I don't count it in my scoring, this is one of the nicest bottles in my collection. A beautiful shape, and a beautiful color (see rumratings photo). Smells of vanilla, spice, sweet molasses, honey, and hazelnut; the taste is equally nice. I like this a lot! Very classy looking bottle with wooden cork. Deep mahogany brown color, very nice! Pour it in a sniffer and let it rest for a while and... alcohol, very mild sweetness on the nose. Waaat!? Give it a swirl and whoa! Hugely sweet and thick, syrupy , molasses, what an aroma! Taste is equally good and thick. Nice slow sipping rum! I had been waiting for 3 years to taste this rum and I had the opportunity during a rum battle around 10 best ron. It has a beautiful dark amber color. At the nose, there are notes of toffee, coffee and chocolate. There is also honey and vanilla. In the mouth, the dark chocolate takes the top with a beautiful depth and a beautiful roundness. The spices arrive on a medium finish but the chocolate is for me always very present. A little disappointed. Best rum I've ever had. So smooth and perfect to drink on the rocks. Great rum in a nice pacakage. The nose is potent with sweet, burnt, brown sugar, baked banana, raisins and barrel notes. The palette offers a medium brown sugar sweetness on a background of oak and fills your mouth with lovely spicy tingles. It reminds me of a slightly deeper, more refinded but less sweet version of the Millonario solera 15. I got to talking at length with the bartender at a well stocked rum bar after sampling five of what he had on hand. He showed me a picture of this one on his smart phone. Holy smoke! It was already on my wish list here and I was prepared to find any excuse to drive 400 miles to the Houston area to get a bottle. My wonderful memory of Cartavio Solera 12 is what inspired me. Then the bartender told me what local liquor store stocked it. It had been years since I visited that one, which was before I retired almost four years ago. I drove over there with high hopes. Sure enough, there was one bottle left on the top shelf for only $66. When I got my new baby home, I let it breathe in the snifter for at least a half an hour. I must say that this bottle exudes elegance, including a wire cage typically found around champagne corks to prevent them from popping out. The color is a rich dark reddish orange and almost transparent. If I had not known any better, I would assume that this is a dry rum from looking at it. It has 29 gpl of added sugar, which qualifies it as being heavily sweetened, but not quite a sugar bomb. The complex flavors on the aroma are too numerous to single out. It is rich and smooth on the palate and goes down with no after burn whatsoever. I will start by rating this as an 8, but it may move up to a 9. At this price and being heavily sweetened, I will need to use it up in 2-4 months. I always keep track of when each bottle was opened. 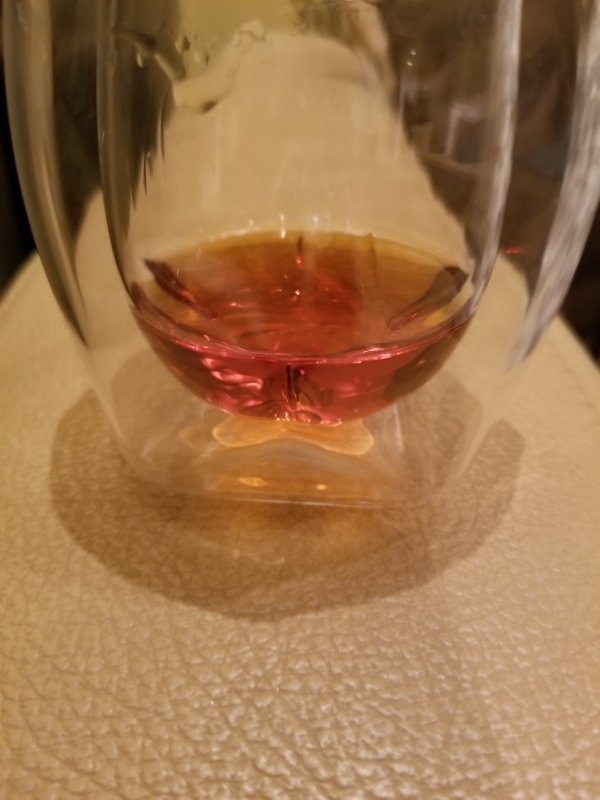 Update November 14, 2018: As good as it tastes in the snifter, there was just something about it whereby I was really hesitant to take another sip. Yes, it was super smooth swirling around a mouthful with no burn going down. And being down to the last six ounces in the bottle, I asked myself why is this aged rum looking red. Duh!!! It is all of the added sugars and no telling what else that is putting me off! So I added an ice cube, which did not improve it in the snifter. Then I did the unthinkable of adding lime, lemon, and orange juices to this last six ounces, which finally made it drinkable. Since this borderline sugar bomb deteriorated this much in only four weeks, I had no choice except to drop my rating from an 8 to a 7. In my overall rankings, it's younger brother Solera 12 still ranks much higher, which is also rated as a 7. What a nice bottle! Well i usually prefer rum with a little more punch to it, the dryer ones. Ore at least the perfect balance between sweetness and dryness. But sometimes a more sugery rum put down my needs for candy. This is a great rum... But when the rum almost is on the edge to be an liqueur I loose my interest. Nose: fruits, brown sugar, plums. Palate: caramel, brown sugar, vanilla, chocolate in a sweety heaven! Sweet and smooth with a beautiful long finish. I've tried rum in nice bottles and thought... "they had to put this in a nice bottle to justify the price." First hints, slight bite. But let it breathe, even if only for a few minutes, and it opens beautifully. Soft, smooth... So smooth. Vanilla, caramel, burnt toffee, maybe brown sugar. Sweet, delicious. No bite. Lingering taste, it just sits on the back of your tongue, begging for another sip. And make no mistake, this is a beautiful sipper. Nice bottle, comes in a tin. Only complaint it's a plastic cork. This might be one in the finest rums I've ever had. Do not pass up an opportunity to try it. Its not bad but the sugar content is way to high. It tells me there is something to hide. But ok to drink as a desert.Reallllly smooth. Smager som den dufter. sød, men ikke for sød og med god eftersmag. This is a great rum that I enjoy with a smooth cigar like an Undercrown Shade. The back-end caramel and vanilla is amazing. THE rum for me. Ron Cartavio XO is coming in a nice bottle where all the information is graved into the bottle. I like this detail instead of the cheap labels that a lot of other rum makers are using. In the nose this rum is sweet, a little spicy and I find notes as toffe and vanilla. The palate offers notes as, caramel, vanilla, nuts and oak. The aftertaste is long with hints of molasse and oak. This is really a fantastic rum, and for 750 DKK (100 EURO) I think it's worth every penny, and maybe more. Buy this rum if you haven't tried it before, you will not be dissapointed!! Spicy and sweet. I enjoyed this rum at the Rum Festival in Miami this year. Fantastically fruity, with hints of vanilla and nuts. 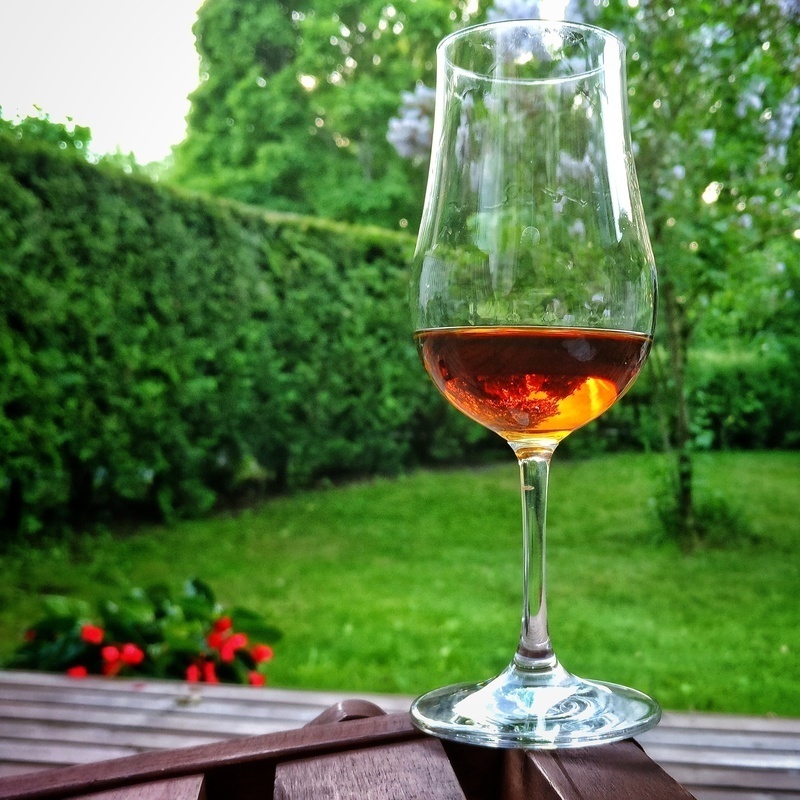 This rum have been shipped from Peru to Norway, and it's absolutely worth the journey! Let it breathe for 10 minutes in the glass, while sniffing the smell of brown sugar and vanilla. A wonderful bite in the mouth, and let it roll around for ten seconds, then you feel the exotic aroma fill you with pure pleasure. Bought this one on chance in Cusco. Should have bought more bottles! Dark amber color. Nose of raisins, toffee, brown sugar, ripe banana, vanilla and a hint of oak. Slight mineral touch as well. On the palet - Sweet coffee note, with burned candied sugar. Notes of vanilla and banana as well. Medium to long finish, and with a lovely coating of the mouth. A lovely rum, but a tat to sweet. It would be lovely with som aromas, that didn't drown in the sugar. I have been looking forward to this one for a number of years; and to my surprise, one day it showed up on the LCBO website. 45 minutes later it was in my possession. On the nose there seems to be a lot of scents vying to be top dog. The taste was a little disappointing to me personally; something about a dry oaky rum that seems to have added sugar leaves a bitter aftertaste in my mouth (if that makes sense). It is smooth and that’s always a plus but I just don’t like the aftertaste. After reading other reviews; it seems a lot people like this one. I guess to each their own. Rhum raffiné et très doux. Belle robe foncée. Très sucré sur le caramel. Very smooth with lots of flavor. A little on the expensive side, but well worth it.